This table is made from 4 panels that are locked together with long pins. It is dismantalable for easy transportation. 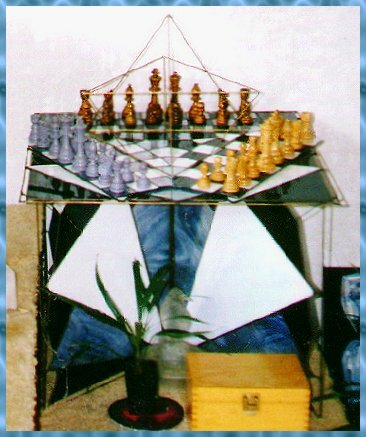 Sitting on top is a glass "Battle chess" board.